Sedona Cake Couture is very excited to announce that we have an incredible feature on In Style Wedding's website. Ten of our wedding cakes, from real Sedona weddings, are featured. Here's the link so you can check it out! 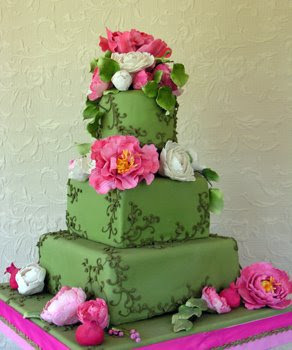 Thanks to sedonabride.com and eyes2see.com for your beautiful images of our cakes! I love this cake. It is so bright and cheery. I also love the peonies. What an amazing job! No wonder In Style added this as a favorite to share with their readers!